I’m looking at buying one of these for our high school’s recording studio. We currently use two Alesis iO|26 interfaces, daisy chained together, for a total of 16 preamps. 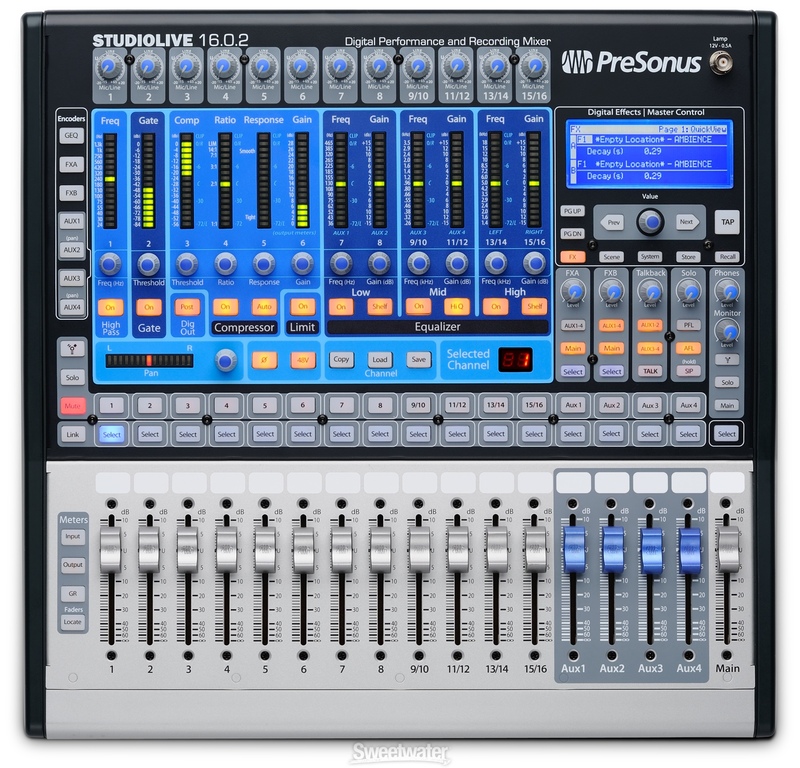 WIth the StudioLive, we’d be giving up a couple channels (since the last couple tracks are stereo pairs or single – it’s really a 12-14 channel mixer in practice), but we’d be able to pre-process a lot of the common dynamic issues that come up when recording drumset. So 9 channels for drums, 2-3 for guitars. This is when we totally max out – I haven’t found a reason to go over this many channels for the kinds of recordings we do, so no big deal to cut a couple channels. And who knows? Maybe I’ll ending using one of those stereo pairs for overhead mics. After the session is really where I hope the StudioLive will come in handy. Right now, we mix totally from scratch – the pres are pretty basic and cheap sounding on the Alesis, which really shows on mixed/compressed vocals. I’m hoping I’ll be able to set up a basic “all purpose” drum mix on the StudioLive which I can use for every session. That way every mixing project will start at a good place and hopefully only require minimal tweaking. Why not get the larger, better and more expensive 16.4.2? Simple – it’s too long. Our desk/shelf won’t hold it! Here’s a great review of the newer, smaller 16.0.2 over at Sonicscoop.